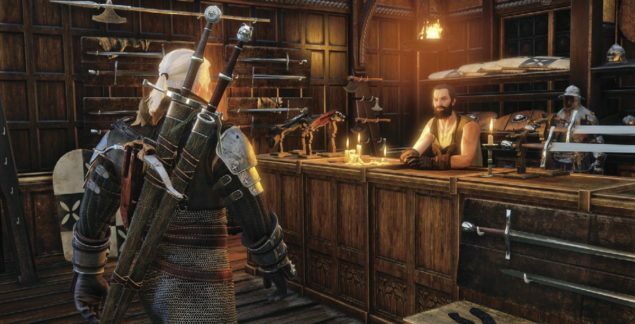 The Blood and Wine DLC for The Witcher 3 might still be a couple months away from release, if a notable Polish gaming website is to be believed. 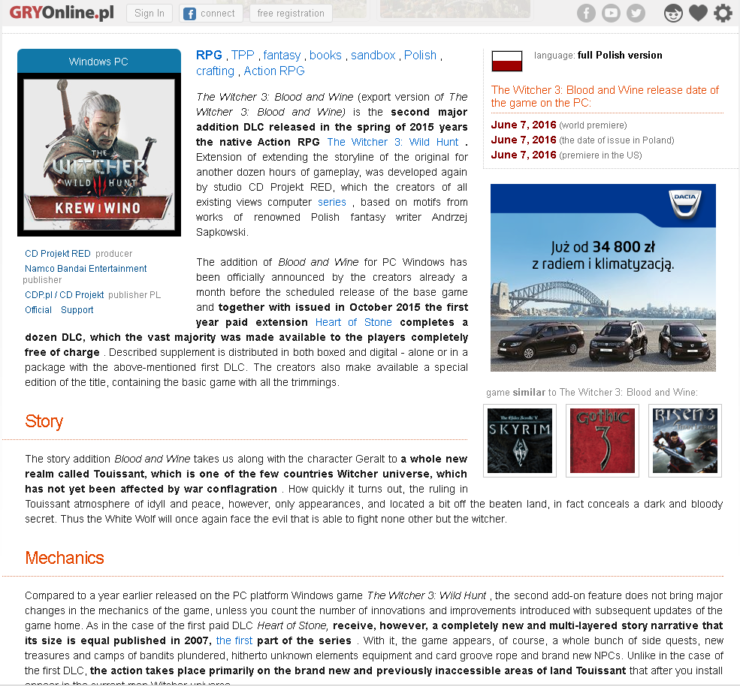 Polish gaming website GRYOnline has listed the upcoming expansion for The Witcher 3: Wild Hunt with a release date on June 7th, 2016. We’ve included shots of both the original website and the translated version, which clearly mentions a world premiere for the expansion on June 7. While this might merely be a placeholder or speculated date, the date does fit in CD Projekt Red’s release timeframe of the expansion. On numerous occasions, the Polish developer has stated that the Blood and Wine DLC will release within the first half of 2016. Additionally, June 7th is on a Tuesday, the day of the week that most titles are released. Furthermore, both The Witcher 3 and its first expansion (Hearts of Stone) have been released on a Tuesday. As with all listings and possible placeholder dates, take the information above with a grain of salt as CD Projekt Red hasn’t officially confirmed the expansion’s release date. Last month we reported that a short glimpse of the Blood and Wine expansion had emerged from a presentation that was held during the GDC 2016. You can check out that glimpse right here. The second expansion is said to offer around 20 hours of gameplay. 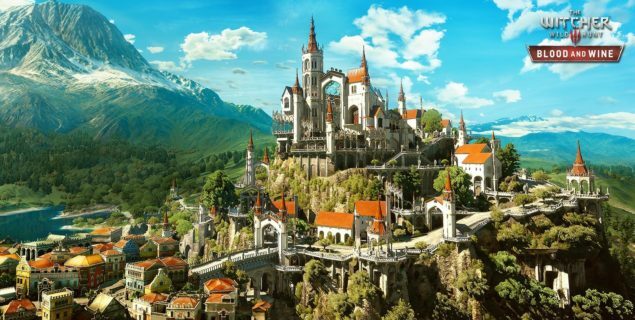 a 20-hour tale that will introduce the all-new in-game region of Toussaint and will take Geralt to a land untainted by war, where an atmosphere of carefree indulgence and knightly ritual masks an ancient, bloody secret. Apart from new characters, a new area, and a new plot, the Blood and Wine DLC will feature completely new music. According to the game’s composer, the music for the expansion will be written from scratch.